Home > Your needs > Fleet and asset management > Telefleet geolocation can help you to apply the new VAT regulations on company vehicles. Telefleet geolocation can help you to apply the new VAT regulations on company vehicles. The new regulations which came into force on 1st January 2013 create a legal framework for businesses. The rules do not apply retrospectively. According to the regulations, "The right to deduct VAT must be limited to the actual business use of the vehicles and the expenses of that use". So you will need to set up a ‘practical’ system for assessing business mileage accurately, along with the deductible percentage (maximum 50%). 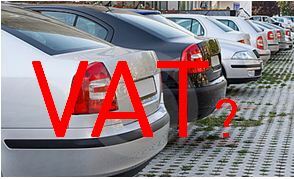 VAT deduction relates to the whole of your fleet. That means light commercial vehicles, cars and other vehicles, both leased and owned. How is actual business use worked out? In practice, the authorities allow three ways of determining the share of actual business use. The first method is undeniably the one that reflects the actual use of the vehicle... but it involves a lot of administrative work. Telefleet is a solution that uses a geolocation box fitted to the vehicle, which sends real time travel data to a web platform. By providing private/business mileage reports that can be used for the accurate calculation required by the regulations. By preventing fraud, because journeys are recorded in real time and a history is available. Electronic routing orders, so no time is lost completing paperwork. Simplified administrative procedures. No re-coding, automatic reports, etc. It’s not too late to fit out your fleet! Contact us for a quotation.